The double size quilt is approximately 78" x "87. The price includes thread, backing, batting if needed, binding, quilting and construction of quilt. You just supply the t-shirts/source materials and we do the rest! We will discuss with you what you'd like and/or make suggestions if you're not sure. Either way you will end up with a gift you will love! 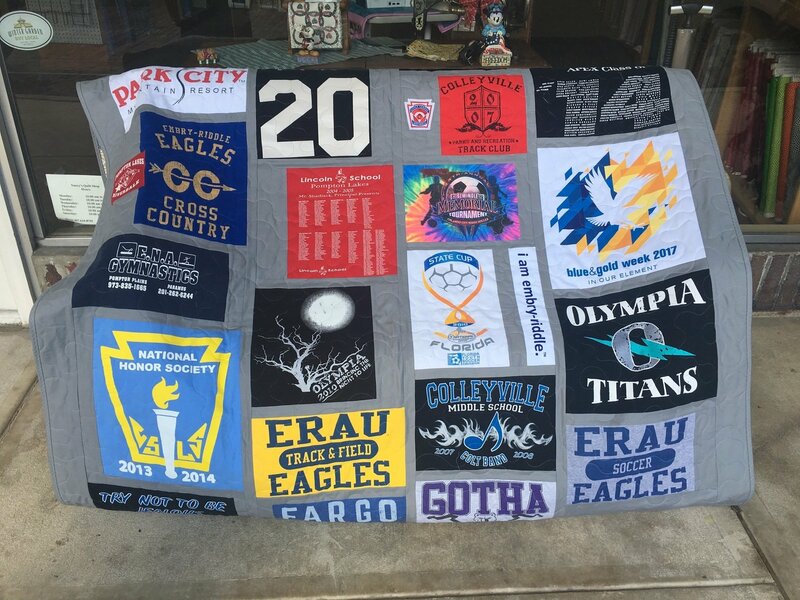 The starting price for the double size quilt complete is $700.